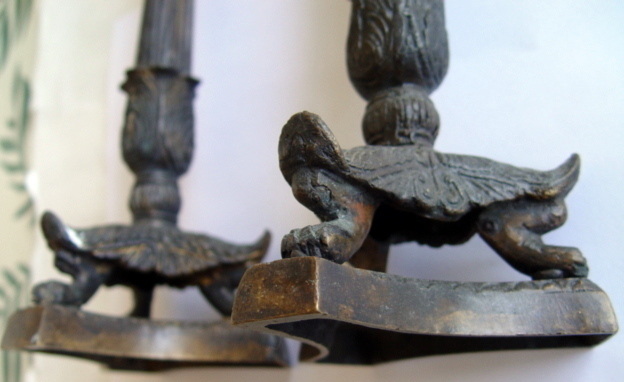 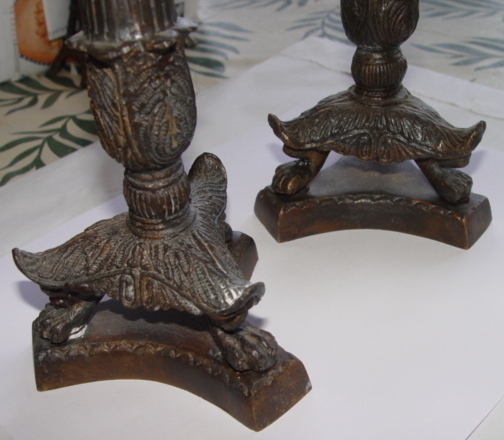 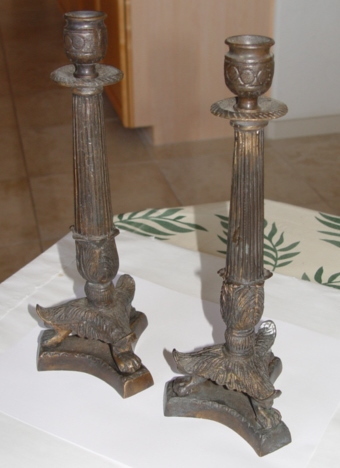 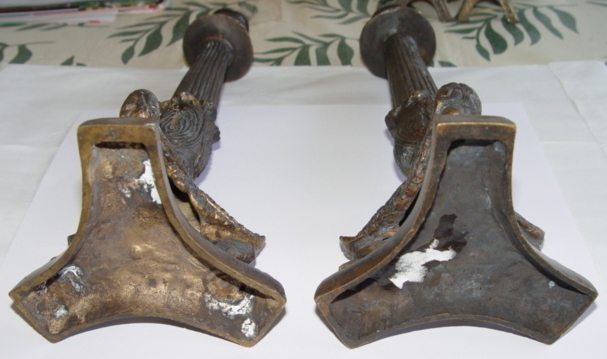 This is a very nice pair of 19th century circa 1860's to 1880's Bronze Candlesticks. 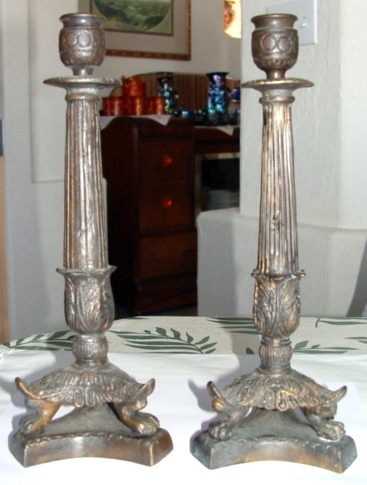 Each is approximately 11 1/2 tall and 4 1/2 wide at the base. 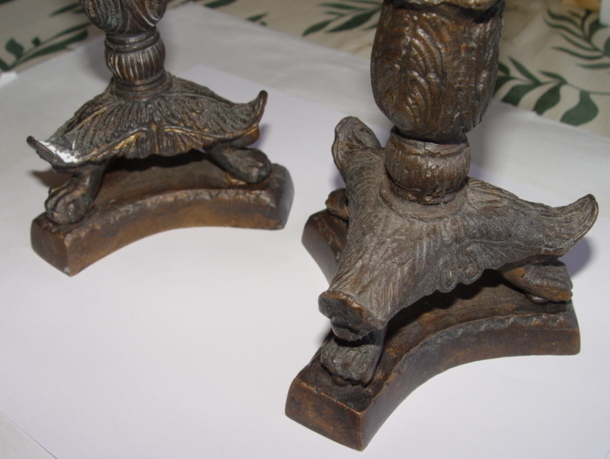 These have beautiful detailing and patina to them. 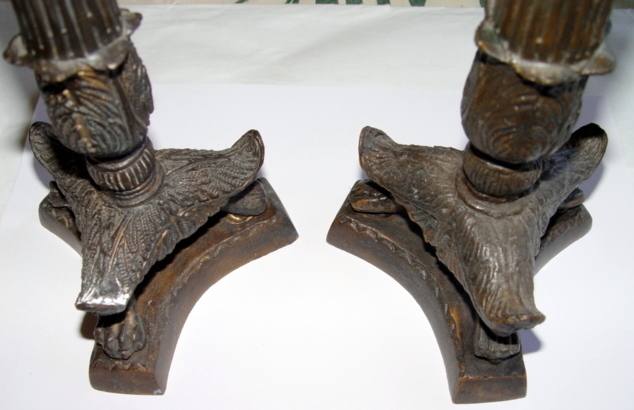 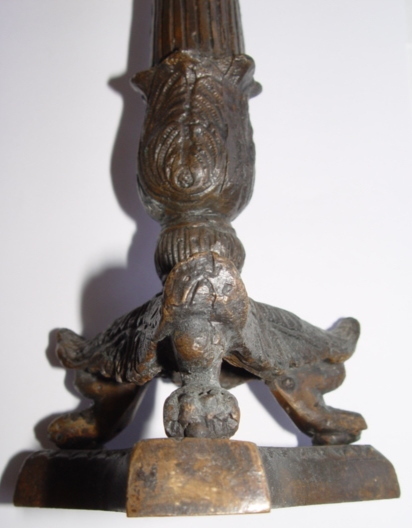 These Candlestick holders were another estate find from Dodge City Kansas.